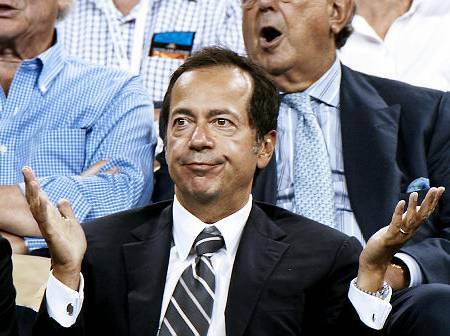 John Paulson,the storied hedge fund manager who netted$20 billion successfully navigating the housing crash and ensuing financial crisis, has been one of the most notable and outspoken gold bulls in recent years. After seeing his PFR Gold Fund drop 63% thus far for the year, he has seemingly lost faith in the precious metal. Despite being the world’s largest investor in SPDR Gold Shares (GLD), owning more than 10.2 million shares as of September 30th, Paulson reportedly has told clients he would not invest any more money in his Gold fund as he is now uncertain as to when inflation will begin to accelerate. At yesterday’s annual meeting Paulson said the fund will maintain their current positions in gold stocks while letting any options related to the metal expire. Already down 26% year-t0-date, GLD certainly looks as if it has yet to bottom out, with a very defined head and shoulders pattern on their chart confirmed by this weeks price action. Perhaps Paulson sees the same developments taking place.